* Prescribe Change Facebook page – join the conversation! SOUTH CUMBERLAND, Sept. 5 — Adam Lowe just happened to be visiting Allegany County with his wife’s family in Little Orleans. Adam Lowe just happens to be a runner. 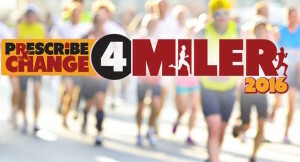 The 34-year-old physical education teacher from Mechanicsville, Md., just happened to find out about the inaugural Prescribe Change 4-mile race being staged by Dr. George Brown on Monday at the Mason Sports Complex in South Cumberland. Lowe just happened to decide to enter. He won, and in a big way. Lowe left behind the small group of runners — which included a few overmatched and overwhelmed local high school cross country runners — that chose to start at his pace within the first half-mile. Lowe led the first loop around the baseball field and then to the C&O Canal Towpath towards the Evitts Creek Aqueduct, which served as the turnaround point. Lowe led the 65-runner field to the finish line in 23 minutes and 29 seconds, a blistering pace of 5:52 per mile. Jared Klem was second in 24:45 while Tyler Kirkwood, 21, of Frostburg, was third in 26:33. Kevin Spradlin, 37, of Frostburg, placed fourth in 26:44 while Allegany High School harrier Kole Morgan rounded out the top five in 27:06. Morgan’s coach, Chris Biser, finished in seventh place in 27:52. Despite nursing an Achilles injury, 43-year-old Jen Sober, of McHenry, placed 10th overall in 29:07 — a 7:17 pace — to earn the women’s victory. 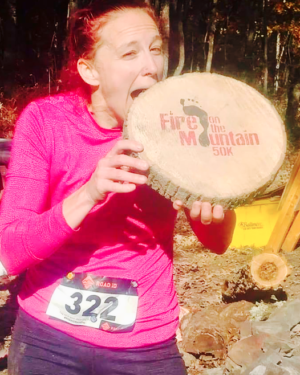 Catherine Czapski finished second, and 12th overall, in 30:08 while Natalie Gray was third (13th overall) in 30:21. 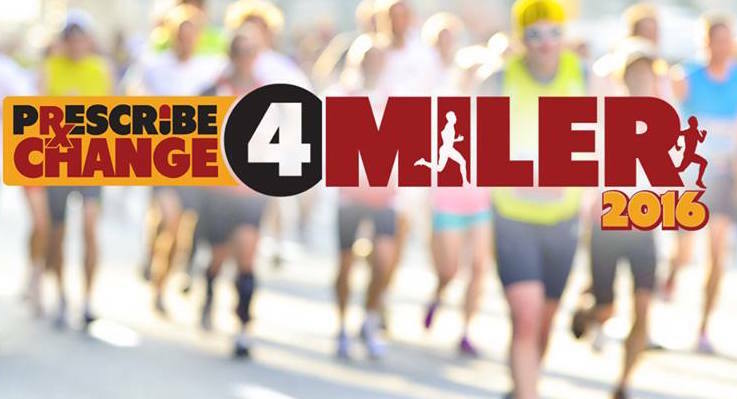 Event officials gave credit for the idea of staging the 4-mile race,a partnership between the Allegany County Health Department, the Allegany County public school system and local businesses, to Brown. Brown, however, credited Rick Hamilton and Dr. Ben Brauer for coming up with the idea.